This blog comes from Locality, our civil society partner in the Community Wellbeing Evidence Programme. Here, Ruth Breidenbach-Roe reflect on how community practitioners, funders and commissioners can use community wellbeing to guide how we think about place-based change. 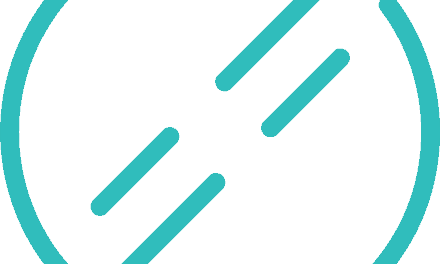 Part of Locality’s role in the Community Wellbeing Evidence Programme has been to test the emerging findings from the evidence programme with community organisations, through Locality’s Health and Wellbeing Network. 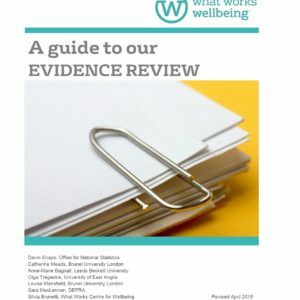 Through this work, we have discussed some of the challenges of making sure that the evidence around community wellbeing is translated into practice in the design and evaluation of local services and projects. Defining community wellbeing is a complex task – made more complicated by the many definitions, measures and frameworks currently in use. 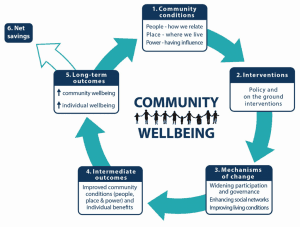 The Community Wellbeing Evidence programme has sought to make sense of this complexity, by developing a theory of change for community wellbeing. Broadly, community wellbeing can be defined as ‘being well together.’ Rather than thinking of it as an aggregate of individual wellbeing (which has a more developed consensus on measurement), community wellbeing is about the strength of networks and support between people in a community. 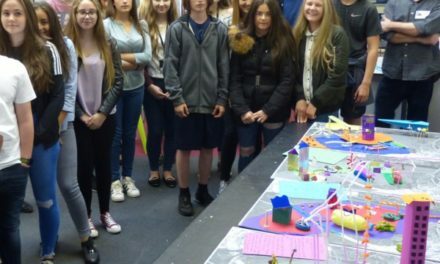 It is also impacted by both the physical conditions of the community, as well as the opportunity to participate and have a say in the local area. It is an inherently ‘messy’ concept: with many interrelated factors and pathways, which differ for each community. The theory of change seeks to distill some of this messiness, and also show how policy interventions can improve community wellbeing. 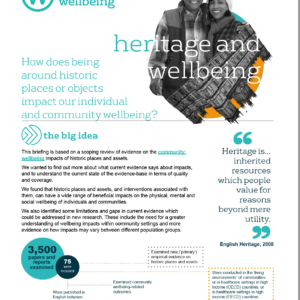 Through the lens of community wellbeing it identifies some of the mechanisms for place-based change, including widening participation, strengthening social networks, and improving living conditions. For community organisations the theory of change is an important tool for understanding their role in improving neighbourhoods. In our discussions Locality members reflected that the theory of change was a deeply resonate and intuitive way of articulating the impact they have in their communities. Rooted in their place, community organisations are often multi-purpose, responding to the particular circumstances and needs of their community. Through community organising and community development activities, they provide greater opportunities for local participation and voice. Community organisations will often be spaces where local people come together and build the relationships and support networks which are essential to wellbeing. Community wellbeing is not necessarily understood or prioritised by funders or commissioners. The type of activities that contribute to community wellbeing are often not properly evaluated. Community organisations often can only capture the evidence on outcomes which they are funded to deliver. When it comes to measuring impact, community organisations often only have the time and resources to capture the evidence and outcomes which are required by funders. Often community wellbeing outcomes might be considered tangential to the desired project or service outcomes. This is compounded by the fact that the kind of projects that improve community wellbeing will often be delivered by smaller organisations that may not have the skills and resources to carry out an evaluation of wellbeing outcomes. Equally, a full scale evaluation may well be overly burdensome and disproportionate to the outcomes sought. So while the core activity of many groups is around strengthening community relationships and building community power, turning this into quality evidence is often the missing link. By using the theory of change as a tool for thinking about place-based change, funders therefore have an essential role to play in addressing this gap and developing our understanding and knowledge of what works in improving community wellbeing.